Upon our first visit to Guatemala, we were fascinated by the wide variety of creative traditional art forms among the indigenous Highland people. 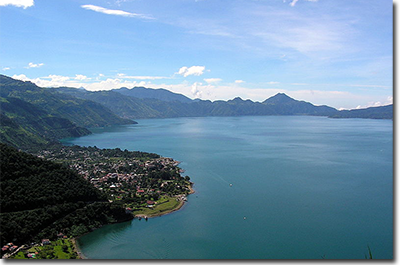 In 1978, this interest led to the opening of our first shop in the lake-side village of Panajachel. 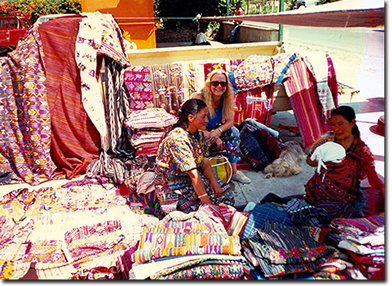 We formed many long-lasting relationships with artisans and weavers; and, in 1990, we began a wholesale operation showcasing textiles throughout the United States focusing on the growing Fair Trade Movement. In 2008, we settled in the village of Tubac, long known for its art and history. Here, we continue with the tradition of great fabrics and folkart at Trocadero de Tubac. Each year we return to Guatemala to reconnect with our friends and artisans and to work on new inventory. Develop Transparent and Accountable Relationships. Support Safe and Empowering Working Conditions. Ensure the Rights of Children.